When you are buying a new washing machine, radio, TV, etc you will constantly come across references to the some units of measure. Each unit has a specific significance, and the first four electrical units bear a close relationship to each other. Named after the Italian physicist Alessandro Volta, who invented the first battery in the 1800. Volt, often expressed simply as V, is a measure of the pressure that pushes the current round a circuit. The current supplied to domestic premises in U.K is generally at a pressure of 240V, and it may vary 14V above or below that figure. As the current moves from the live wire through the load presented by an appliance, light bulb,etc, its conversion to energy causes the voltage to drop. When the current leaves the load and returns through the neutral wire to its source at the power station, the voltage is down to almost zero. 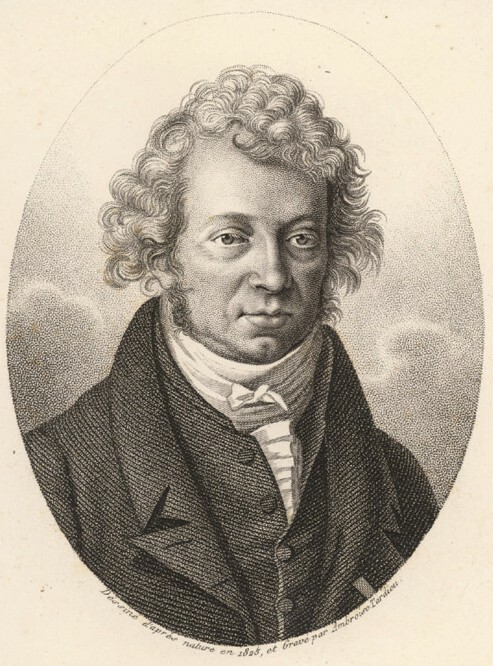 It is named after André-Marie Ampère (1775–1836), French mathematician and physicist. AMPERE, Amps or A for short, is the unit used to measure the amount of current. The number of electrically charged particles called electrons, that flows past a given point on a circuit each second.Billions of electrons are necessary to make up just 1 Ampere. Amperage is determined partly by Voltage and partly by Resistance. OHM, symbol Ω from the Greek alphabet, is the unit for measuring resistance. It is named after the German physicist, Georg Simon Ohm, who established the law that states that the current flow through a conductor is inversely proportional to resistance. This may be expressed by the equation : Volts + ohms = amps. Thous, if you know two of the amounts involved, you can work out the third. The term impedance is sometimes used instead of resistance. There is a technical difference between these terms, but for house wiring the words are interchangeable. WATT, W is the unit of power, indicating how much current an appliance consumes at any given moment. The relation between volts, amps and watts is expressed in another equation that enables any electrician to make any calculation it is needed for the electrical project : Volts X Amps = Watts. Thus, if the current is 240V and an appliance requires 4Amps of current, the equation will read: 240V X 4A = 960W. Conversely, if you have an appliance rated at 1,200W, you can calculate that the amount of current needed is 5Amps. It is customary to use the kilowatt (kW) which is 1,000 watts, as the unit of power for higher wattages. KILOWATT HOUR is the unit for measuring the total amount of electricity consumed. For example, if you burned a 1 kilowatt for exactly an hour, it will draw 1 kilowatt of energy from the mains, unit of consumption the would be included in your electricity bill. Robuild London Electrical contractors in Greater London,cover the Enfield area. NICEIC qualified electricians and Trustmark & Part P approved electrical company. The London Borough of Enfield is a London borough in North London. It borders the London Boroughs of Barnet, Haringey and Waltham Forest, the districts of Hertsmere, Welwyn Hatfield and Broxbourne in Hertfordshire, and Epping Forest in Essex. Electricians in Enfield , London. Rewiring a house or a flat is a major electrical project, not only because of the new electrical installation, but also for the collateral damaged caused to the fabric of the building. Floors needs to be taken out, ceilings taken down, walls chased, for the new electrical cables to be run in place, sockets and lights, all get damaged. And if that is not enough, the dust and dirt will almost require the house or flat to be fully refurbished. If the walls and ceilings are covered in wallpaper, it is very possible that plastering will be needed, wooden floors such laminate flooring will be taken out and not be re-used, wall tiles and skirting boards the same. While the re-wiring project itself might not cost too much, full refurbishment of the house and flat will involve a major budget for the works. New kitchen, bathrooms, flooring, painting and decorating, can add up to a major sum to be invested into the property. The duration of works can vary, from one or two weeks for the re-wiring, depends on how many power points, lights, sockets will be installed in the house or flat, to few months for a full house or flat refurbishment. Robuild Electricians covers Borehamwood, Elstree, Radlett, Shenley, Aldenham & Letchmore Heath areas. NICEIC Registred Electrical Contractors and Electricians, Part P approved electricians,electrical company. Our Electricians are specialist in full house re-wiring, flat rewires, lighting, new consumer units ( fuse boxes ) electrical work, CCTV systems, networking, maintenance & installation.Domestic, industrial, commercial electrical services. The electricians are fully qualified – 17th edition. For a free quote for your electrical jobs, contact us. We also offer building , plumbing, electrical, painting and decorating services in your area. We have received a letter threatening to have our Electrical Company removed from a Register ( it makes look like it has been sent by the Companies House ). It is a Scam. They have a website called www.com-reg.com – which is in fact an advertising website and you will end up paying 993Euros plus VAT.The company is called Direct Publisher S.L.U, a Spanish company based in Madrid and they run the same scam in France and Spain. In order to avoid the removal of your incomplete company details, please revise and approve your information promptly. If by mistake you returned the forms, do not pay,contact a solicitor. New Underfloor heating , Sockets and Lights.